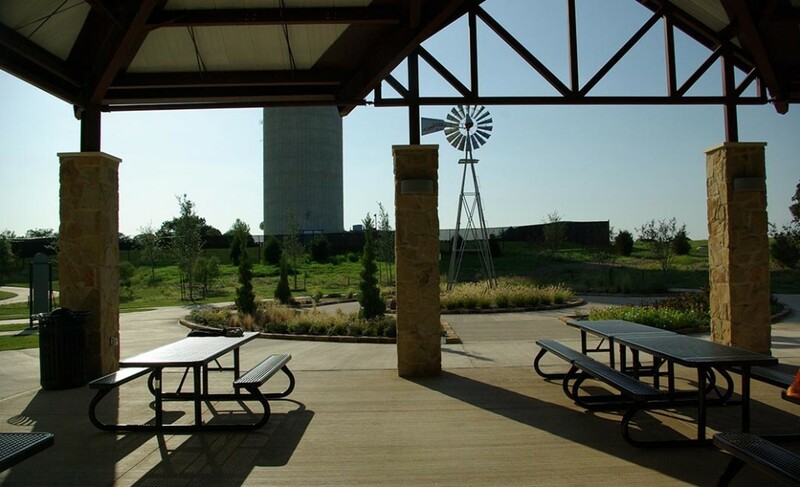 Our firm was retained by the City of Colleyville to develop a master plan and design for a community park on the site of the old McPherson farm, one of the last dairy farms in Tarrant County. 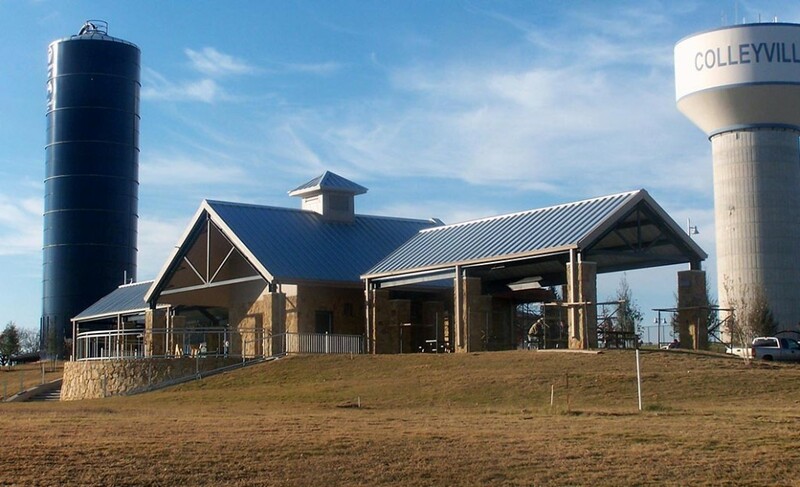 Park features include a hike and bike trail that connects to the adjacent subdivisions, as well as open space for free play with a backstop and a playground for the younger park users. 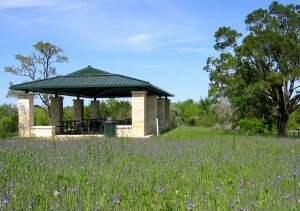 Two pavilions with attached restrooms provide the city with rental facilities for reunions and other large gatherings. Each is constructed of natural stone to emphasize the old McPherson farm vernacular. A parking area is located in close proximity to the pavilions and playground for easy access. Entry features such as a retention pond with a fountain and a natural stone entry sign distinguish the main park entrance from McDonwell School Road. 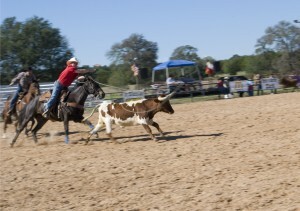 Other park elements include a sand volleyball court, a basketball court, a small splash pad, picnic areas scattered throughout the park, and a relocated log barn that is one of the oldest barns in Tarrant County. 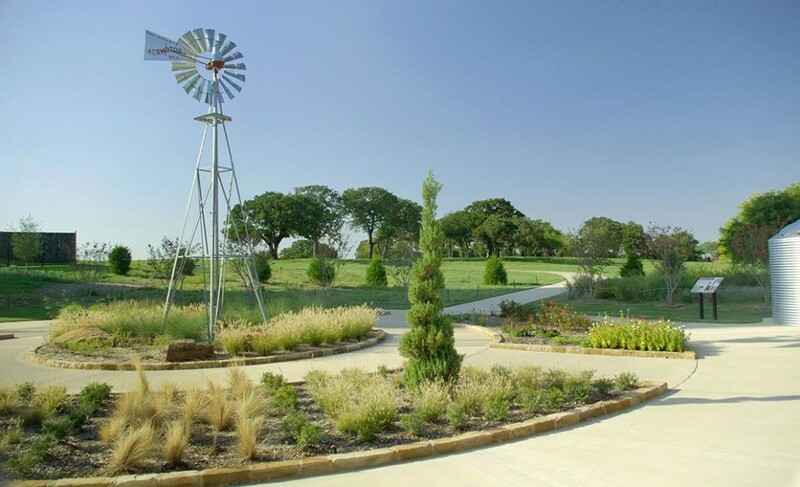 Native grasses and perennials provide a unique setting for this restored structure. Adjacent to the north pavilion is a demonstration garden, which is part of an overall park theme to educate and facilitate native planting designs and theories. Included in this concept are native planting beds with interpretive signage, water harvesting techniques, a tree farm, and the renovation of the original McPherson farm house, currently being used as a meeting place for various organizations within the city.